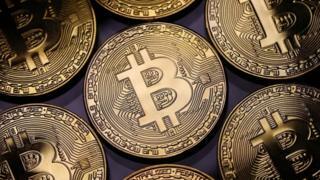 The value of one bitcoin fell to $9,958 (£7,222) before making a slight recovery, according to a price index run by the news site Coindesk. However, it later fell again dipping just below $9,200. That represents a drop of more than 53% since it peaked close to $19,800 five weeks ago. Other crypto-currencies have also experienced steep falls, including Ethereum, Ripple and Bitcoin Cash. Bitcoin: South Korea sways cryptocurrency prices - but how?